At Airinmotion, we take our job very seriously because your home hosts the people you care about most. As such, we know that the last thing you want is for your local electrician to do an unprofessional job because it can lead to dangerous hazards. 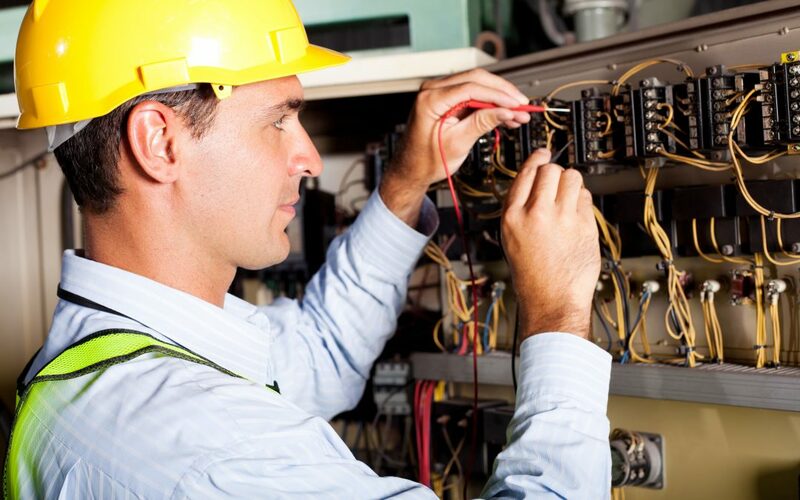 Unlike most electricians in Mississauga, we can guarantee that all our electricians have the correct licensing and certification. We take pride in our work and treat each of our clients with respect. We value your time and money and thus we ensure that our local electricians get the job done leaving you satisfied and happy. Now that you know who to call when you require the services of an electrician in Mississauga, let us look at some of the reasons that may require you to call one. If you notice that your electrical circuit-breakers trip repeatedly, or your fuses blow often, then your circuits are drawing more current than they can securely provide. This could also be an indication of a dangerous fault on one or more circuits. Our local electricians will easily fix this problem. When using your hair dryer, does it give the vanity lamp a moment’s pause? When you turn on the air conditioner or fridge, do the lights on your ceiling dim? If your answer is yes, then you need to call an electrician in Mississauga. Most motor-driven appliances draw loads of current and therefore need devoted circuits. If smaller appliances also cause problems, our local electrician will add a 20-amp line to service them. If multi-receptacle add-ons and plug-strips keep strangling your outlets, then your electrical system is most probably working beyond its capacity. Our local electricians will use additional circuits with duplex receptacles to restore safety and order to your home. A dangerous condition exists if your living room has wires running under furniture and rugs. This means that you need more electric outlets especially if some of those wires are extension cords. This indicates that your outlets are too far apart. Electricians in Mississauga will add more outlets throughout your house in order to solve this problem. Older houses have electric outlets that will not accept three-prong grounded plugs. This is a much bigger problem than not being able to plug in the toaster. It could be an indication that your electrical wiring system is not grounded fully and therefore, you are not entirely safe. At Airinmotion, our expert electricians can fix such a problem. If your switches, outlets or other electrical system surfaces feel warm when you touch them, or you notice some blackening on the wall or switch plate, the problem could be simply too much pressure on the circuit or something more dangerous and complex. Our local electricians can fix this problem as well as conduct regular check-ups on your home especially if it was built in the sixties, which means it may have aluminum wiring.